The Alberta Estonian Heritage Society is planning a grand Jaanipäev to celebrate the centennial of the land of its forefathers. Many members of the society have current contact with family in Estonia, some even with their long lost relatives as their ancestors left Estonian rural areas in the 1860s or at the very beginning of the 20th century to immigrate to western Canada either directly or via Crimea. Others no longer have contact with relatives in Estonia. Regardless, all are coming together this June 23rd at Linda Hall, near Stettler in central Alberta from 11.00 AM to 7.00 PM. The day’s program is a combination of new and traditional Stettler Estonian pioneer activites. Among the traditional will be the log sawing, nail pounding and “Queen of 4.00 AM” contests. Among the new will be a bouncy castle for very young children. A focal point will be a folk dance couple from Anija, Estonia, who will perform as well as lead willing participants in simple folk dances. There will be hot dogs to purchase mid-day and catered dinner in the evening. The feature dish will be a whole roast pig, with vegetarian options also available. Admission includes dinner: $25 per adult, $12 for ages 6 - 11 and free for ages under 6. Cutoff date for ticket purchase is June 11. 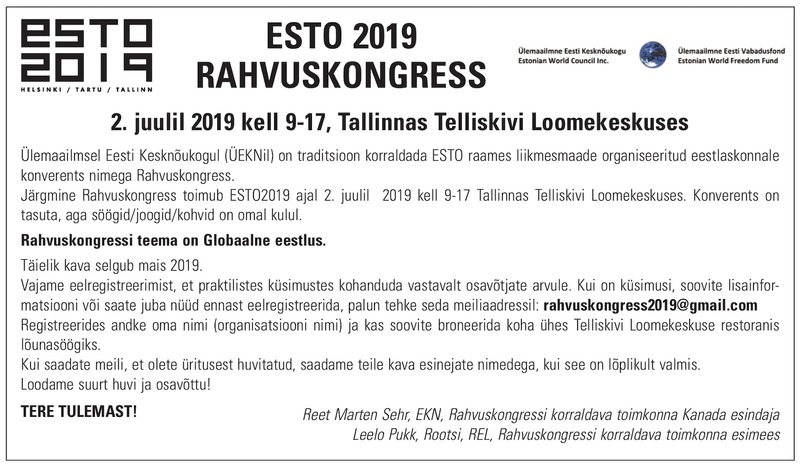 Information and tickets available online at www.AEHS.caOn that Home Page, select NEWS/EVENTS, then click on “Estonia centenary Jaanipaev”, then “more info”. 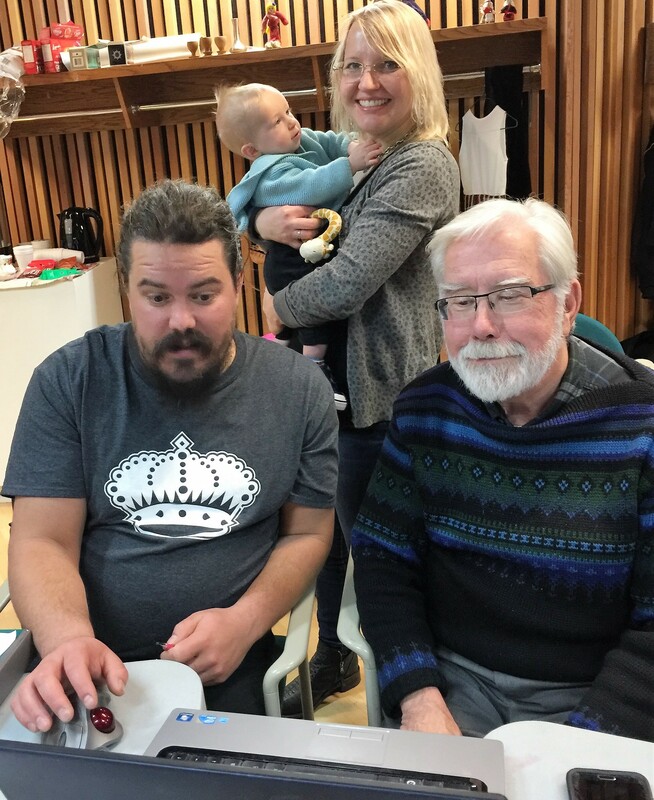 In this, the 21st Century, the Alberta Estonian Heritage Society is “keeping up with the Jones’s”, or rather with internet technology. The AEHS began its public online life with a grand launch of its historically oriented website in May, 2008. Last fall, on October 21st, it held its third revised website relaunch. AEHS president Kelly Schuler had devised a ’scavenger’ contest for attendees to learn how to navigate the redesigned website. The new look is available at www.aehs.ca. Small groups, each with a laptop, competed against the other groups to find specified facts. Whoops of delight were heard, and essentially all were winners, as everyone gained the intended experience. Emcee Kelly Schuler then continued with the program. 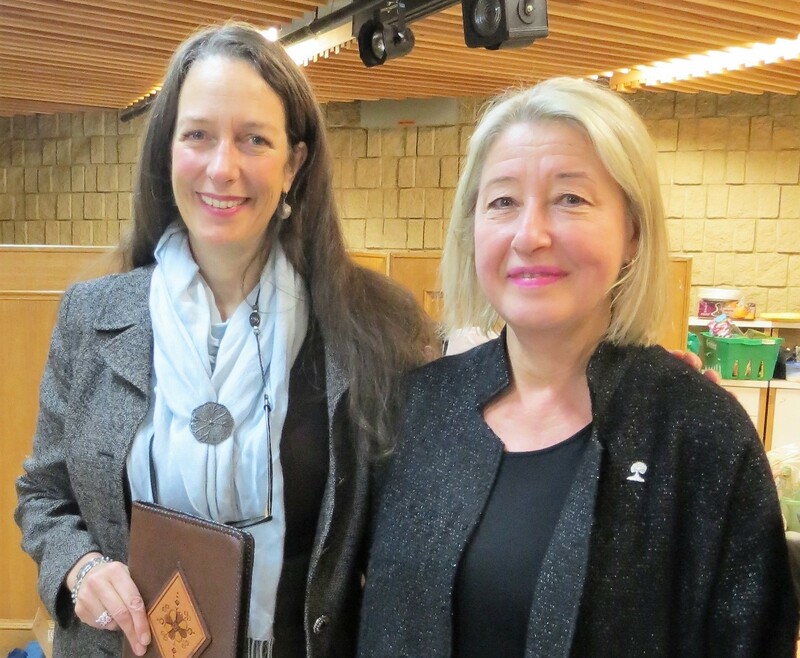 The other focal point of the day was the visit of Estonian Foundation of Canada president Eva Varangu from Toronto. After gift exchanges, she spoke of the organization’s activities and the sombre reason for its creation in the 1950’s. She encourages Alberta Estonians to become part of its current outreach of fundraising and grants. 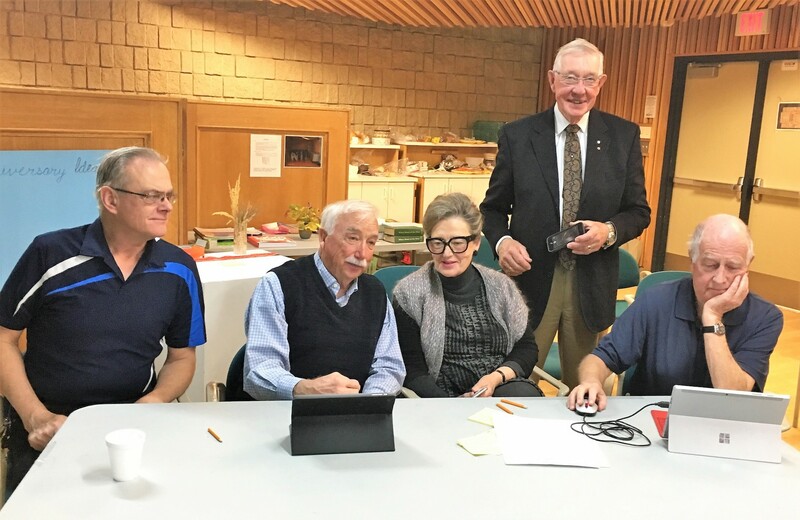 Eva Varangu was warmly welcomed and cheerfully joined in the website game along with Külliva Kangur, Honourary Estonian Consul for Alberta, who later spoke of her role as it relates to Albertans of Estonian heritage. The third speaker was prominent politician, Red Deer area community leader and long-time friend of Estonians, Morris Flewwelling. Dr. Adriana Davies, founder of the Heritage Community Foundation which was the original platform for the AEHS historical website, praised our organization’s independent online development since its technical start under her professional expertise eleven years earlier. 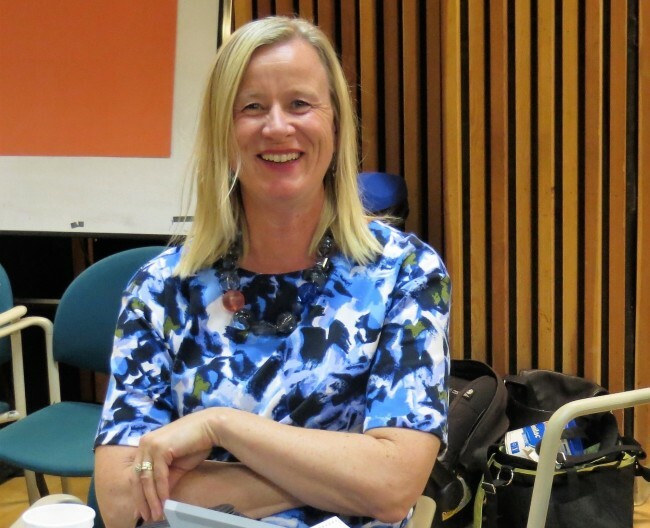 Helgi Leesment, who recently stepped down from her twelve year role as vice-president of the AEHS, highlighted aspects that unify Estonians worldwide, and, more specifially, in Alberta. Also on the very full program that day were classical music performances by Naomi Gue (cello), Amelie Schuler (violin), Lukas Schuler (cello), Martha Munz Gue (piano), Kelly Schuler (piano; Arvo Pärt’s “Für Anna Maria”), and a sing-along led jointly by Scott Raabis and Martha Munz Gue. Youngsters had Estonian themed colouring and design creative activities. 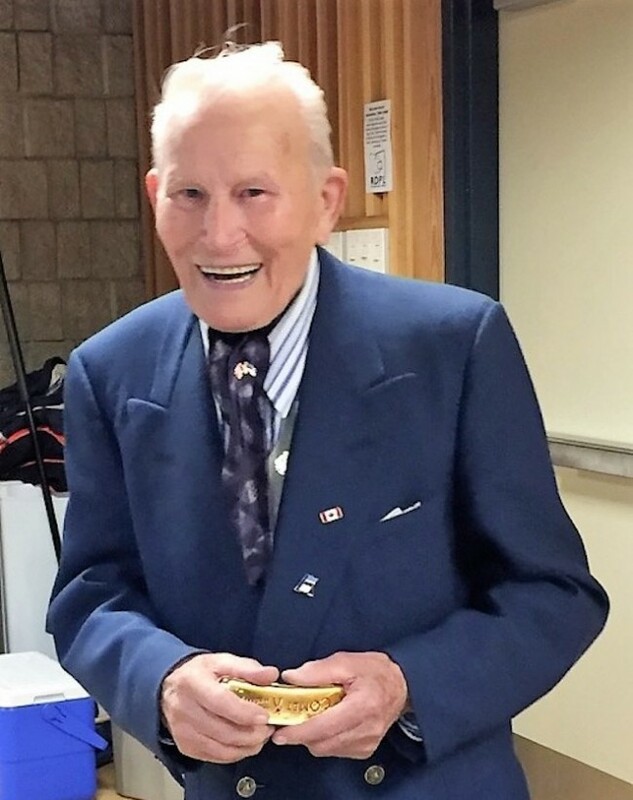 There was an impromptu Estonian song played by audience member, 94 year-old Willy Kalvee on his mouth organ. He also provided Canadian content with a beautiful rendition of “Oh Canada”. Jasmine Fodor, Amelie Schuler and Lukas Schuler had previously learned the Estonian folkdance “Kaera-Jaan” under Helgi Leesment’s direction. They were joined in their performance with a few audience members who held a prior joint practice offsite. Later, these three teenagers led a couple of dozen people in a simple follow-the-leader traditional Estonian ’walking’ dance. Despite the busy afternoon, participants found time to chat and enjoy coffee and snacks organized by AEHS Events Coordinator Janice Pääsuke. With so much electronic technology in use, Jennifer Weihmann, Kelly Schuler and Lukas Schuler ably handled that aspect at the Red Deer Public Library’s Snell Auditorium.